Canadian Jerky is a professional pet food manufacturer based in South Surrey, British Columbia. Founded in 2016, our mission is to provide premium quality, naturally nutritious, healthy and tasty pet food and pet treats that are 100% sourced and made in Canada. We are proud to offer three main product lines that include soft treats, one-ingredient jerky and air-dried foods. Our daily production capacity can go up to 20 tons. At Canadian Jerky, we locally source only the highest quality and freshest ingredients to use in our pet food and pet treats. We use world-leading equipment to make our air-dried products. Our specially programmed low temp jerky drying process locks in nutrition and flavour. Our steaming equipment delivers products that are made using traditional methods enhanced by modern efficiencies. This lets us preserve as much of the ingredients’ natural taste as possible. We then use premium extrusion equipment to shape the products. 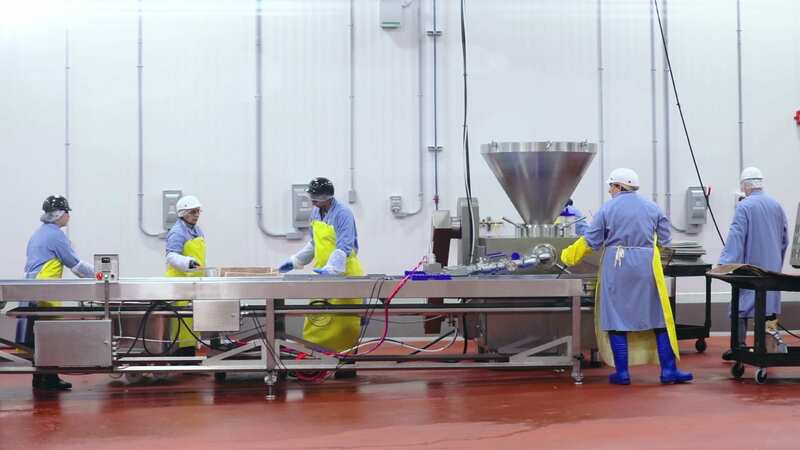 Our 40,000 square foot plant features superior food processing machines, recently purchased from Canada, the US and Germany. All our machines are CSA-approved. In addition to our BC-based plant, we also have a 5,000 square foot warehouse in Toronto and a warehousing/freight centre in Blaine, Washington.